Natural Pain and Wellness Lifestyle Solutions! As a child, Dr. Chris' goal was to help and serve people in the medical field. However, at a young age, grades and school performance were difficult and doctor's diagnosed Chris with ADD or Attention Deficit Disorder. At the age of ten, Dr. Chris was prescribed Adderall and was told he would need to take the drug for the rest of his life to perform well in school. David Allen, D.C., is a chiropractor located in Clarksville, TN. Specialties: • Full Spine • Extremities • Family Practice Take the next step and contact Dr. David Allen, D.C., for a consultation in Clarksville, TN or to get more information. Raymin Saeedpour, D.C., is a chiropractor located in Nashville, TN. Take the next step and contact Dr. Raymin Saeedpour, D.C., for a consultation in Nashville, TN or to get more information. Jeff Brockman, D.C., is a chiropractor located in Nashville, TN. Take the next step and contact Dr. Jeff Brockman, D.C., for a consultation in Nashville, TN or to get more information. Chuck Iworah, D.C., is a chiropractor located in Nashville, TN. Take the next step and contact Dr. Chuck Iworah, D.C., for a consultation in Nashville, TN or to get more information. 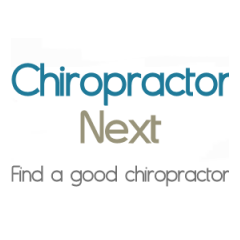 Hal T Farmer, D.C., is a chiropractor located in Nashville, TN. Techniques: • Activator Methods • Diversified • Gonstead • Thompson Take the next step and contact Dr. Hal T Farmer, D.C., for a consultation in Nashville, TN or to get more information. Steven L Robertson, D.C., is a chiropractor located in Nashville, TN. Techniques: • Applied Kinesiology • Diversified • Sacro Occipital Technique • Neuro Emotional Technique Take the next step and contact Dr. Steven L Robertson, D.C., for a consultation in Nashville, TN or to get more information. Sheila Meadows, D.C., is a chiropractor located in Nashville, TN. Techniques: • Diversified • Applied Kinesiology Take the next step and contact Dr. Sheila Meadows, D.C., for a consultation in Nashville, TN or to get more information. Chad McClellan, D.C., is a chiropractor located in Nashville, TN. Techniques: • Palmer Package • Gonstead • Diversified • Activator Methods Take the next step and contact Dr. Chad McClellan, D.C., for a consultation in Nashville, TN or to get more information. Maurice Consiglio, D.C., is a chiropractor located in Nashville, TN. Take the next step and contact Dr. Maurice Consiglio, D.C., for a consultation in Nashville, TN or to get more information. Keith B Graves, D.C., is a chiropractor located in Nashville, TN. Techniques: • Diversified • Activator Methods • Flexion-Distraction • C.C.S.P. Take the next step and contact Dr. Keith B Graves, D.C., for a consultation in Nashville, TN or to get more information. Jeffrey G Snead, D.C., is a chiropractor located in Nashville, TN. Techniques: • Gonstead • Diversified Take the next step and contact Dr. Jeffrey G Snead, D.C., for a consultation in Nashville, TN or to get more information. Charles D Crutchfield, D.C., is a chiropractor located in Nashville, TN. Take the next step and contact Dr. Charles D Crutchfield, D.C., for a consultation in Nashville, TN or to get more information. Myles Crawford, D.C., is a chiropractor located in Nashville, TN. Techniques: • chiropractor Take the next step and contact Dr. Myles Crawford, D.C., for a consultation in Nashville, TN or to get more information. Keith Snead, D.C., is a chiropractor located in Nashville, TN. Techniques: • Gonstead • Diversified Take the next step and contact Dr. Keith Snead, D.C., for a consultation in Nashville, TN or to get more information. Alan Powers, D.C., is a chiropractor located in Nashville, TN. Take the next step and contact Dr. Alan Powers, D.C., for a consultation in Nashville, TN or to get more information. Casey Bearden, D.C., is a chiropractor located in Nashville, TN. Techniques: • Diversified • Cox • Activator Methods • Thompson • Flexion-Distraction • Toggle Recoil • Palmer Package • Myofascial Take the next step and contact Dr. Casey Bearden, D.C., for a consultation in Nashville, TN or to get more information. Donald T Henderson, D.C., is a chiropractor located in Nashville, TN. Take the next step and contact Dr. Donald T Henderson, D.C., for a consultation in Nashville, TN or to get more information. Sharon C Roth, D.C., is a chiropractor located in Nashville, TN. Techniques: • Diversified • Gonstead • Applied Kinesiology Take the next step and contact Dr. Sharon C Roth, D.C., for a consultation in Nashville, TN or to get more information. A Edward Thomas III, D.C.
A Edward Thomas III, D.C., is a chiropractor located in Nashville, TN. Take the next step and contact Dr. A Edward Thomas III, D.C., for a consultation in Nashville, TN or to get more information. Nicole A. Cox, D.C., is a chiropractor located in Nashville, TN. Techniques: • Diversified • Thompson • Activator Methods Take the next step and contact Dr. Nicole A. Cox, D.C., for a consultation in Nashville, TN or to get more information. Kristen Leigh Walkerwicz, D.C., is a chiropractor located in Nashville, TN. Techniques: • Diversified • Activator Methods • Flexion-Distraction • Thompson Take the next step and contact Dr. Kristen Leigh Walkerwicz, D.C., for a consultation in Nashville, TN or to get more information. Luby Chambul, D.C., is a chiropractor located in Nashville, TN. Techniques: • Applied Kinesiology • Diversified • Neuro Emotional Technique Take the next step and contact Dr. Luby Chambul, D.C., for a consultation in Nashville, TN or to get more information. Andrea Selby, D.C., is a chiropractor located in Nashville, TN. Techniques: • Applied Kinesiology • Diversified • Gonstead Take the next step and contact Dr. Andrea Selby, D.C., for a consultation in Nashville, TN or to get more information. Jeannette Mucciolo, D.C., is a chiropractor located in Nashville, TN. Techniques: • Activator Methods Take the next step and contact Dr. Jeannette Mucciolo, D.C., for a consultation in Nashville, TN or to get more information. Brian Foley, D.C., is a chiropractor located in Nashville, TN. Take the next step and contact Dr. Brian Foley, D.C., for a consultation in Nashville, TN or to get more information. Beth S Barnett, D.C., is a chiropractor located in Nashville, TN. Techniques: • Gonstead • Diversified • Activator Methods • Applied Kinesiology Take the next step and contact Dr. Beth S Barnett, D.C., for a consultation in Nashville, TN or to get more information. Arthur G Lensgraff, D.C., is a chiropractor located in Nashville, TN. Take the next step and contact Dr. Arthur G Lensgraff, D.C., for a consultation in Nashville, TN or to get more information. Brendan Wright, D.C., is a chiropractor located in Nashville, TN. Techniques: • Diversified • Thompson • Activator Methods Take the next step and contact Dr. Brendan Wright, D.C., for a consultation in Nashville, TN or to get more information.